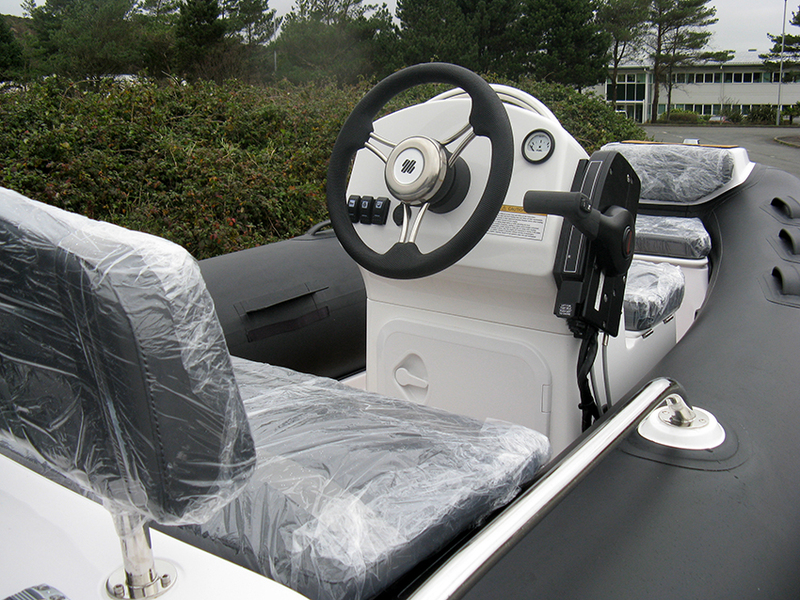 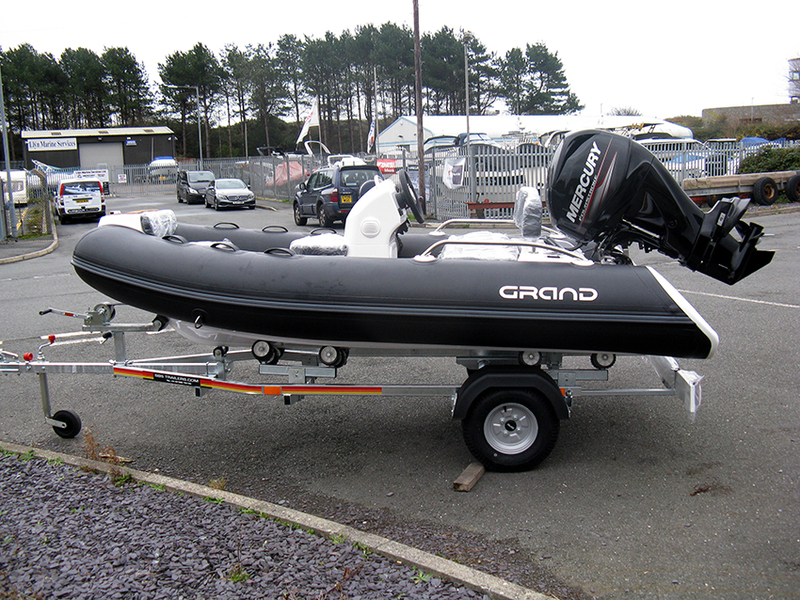 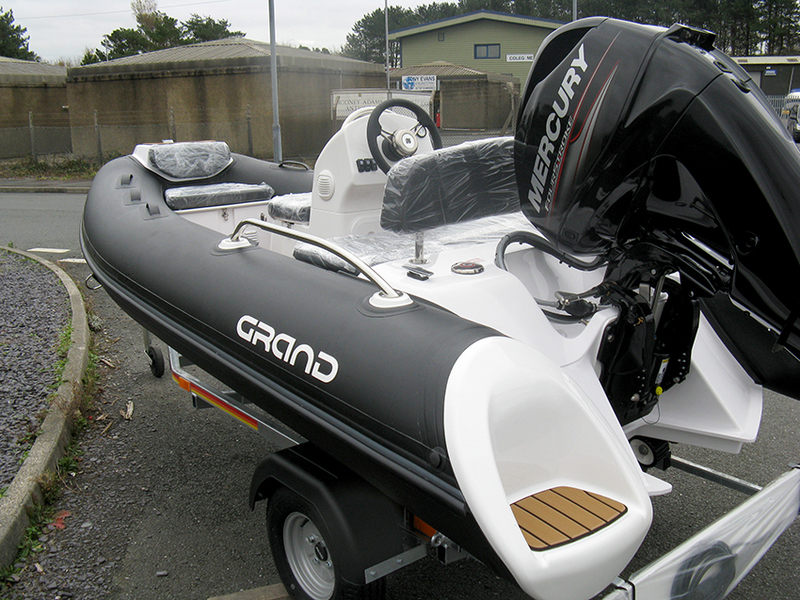 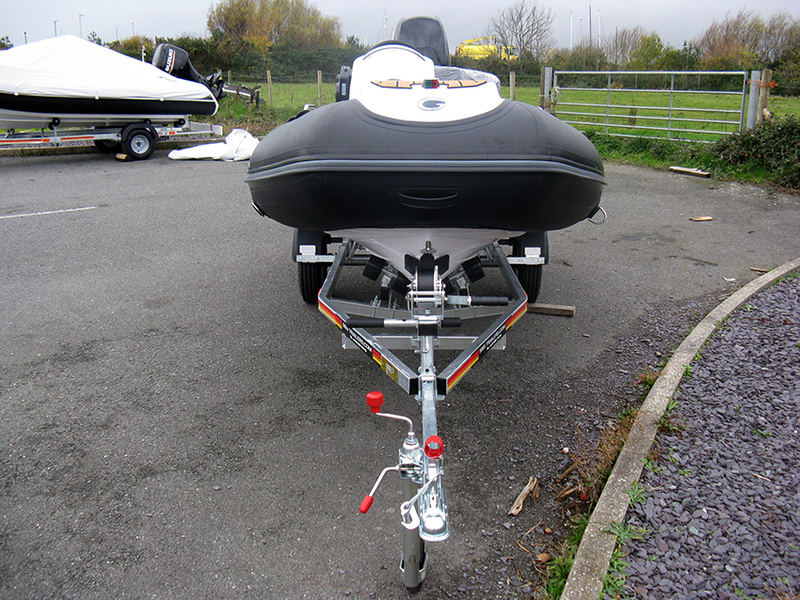 This GRAND G380 is an excellent small RIB and ideal tender. 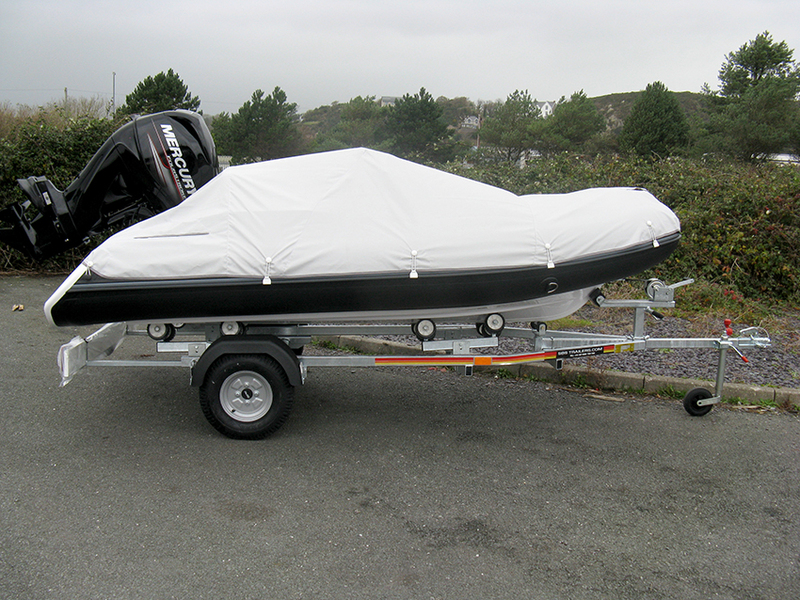 It is at Harbour Marine and has been rigged and ready to go right now. 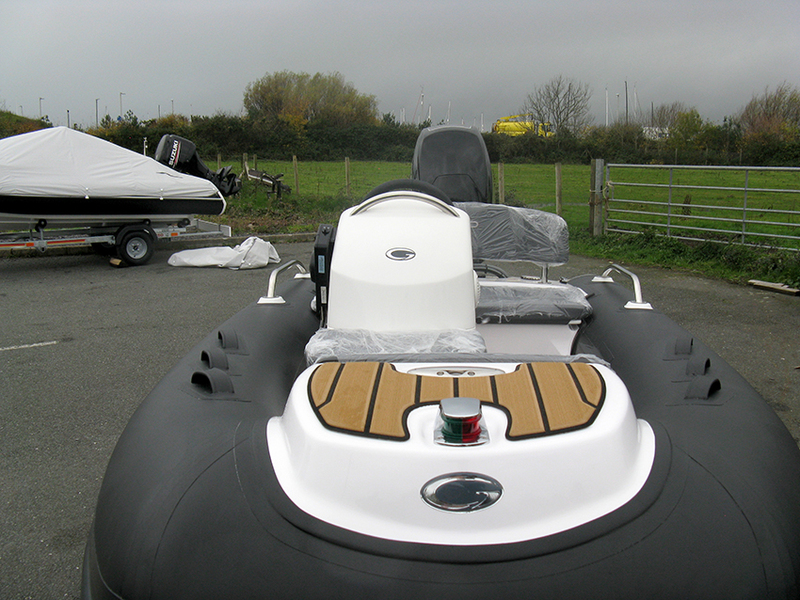 As well as many high spec optional extras (see below) this G380 is powered by a Mercury 40hp outboard and comes on a new SBS trailer. 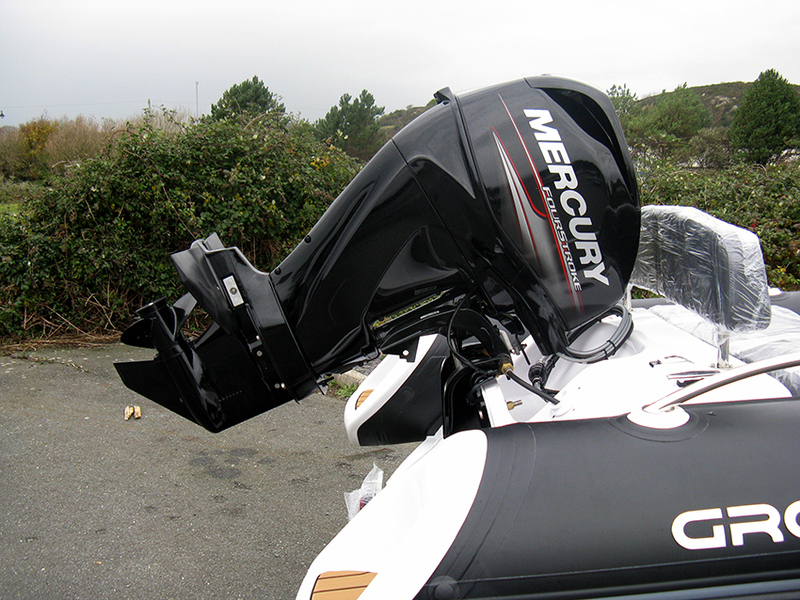 A perfect package! 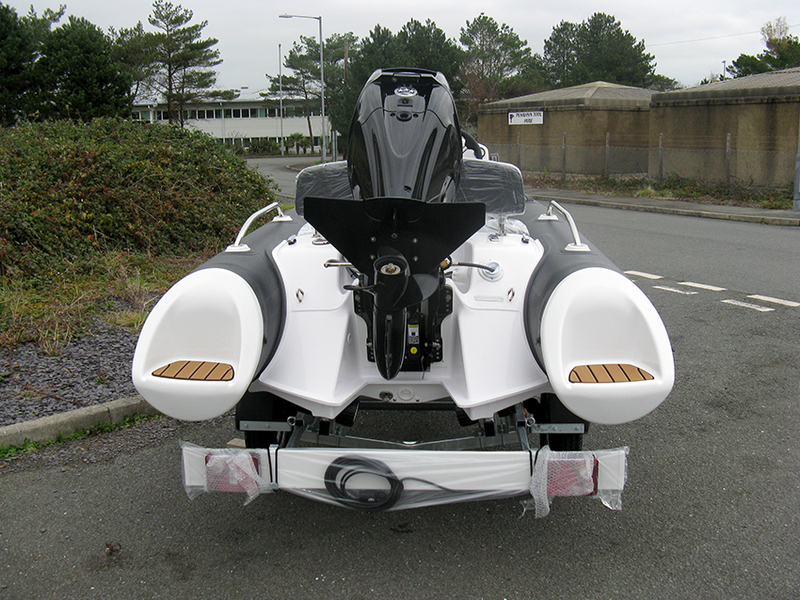 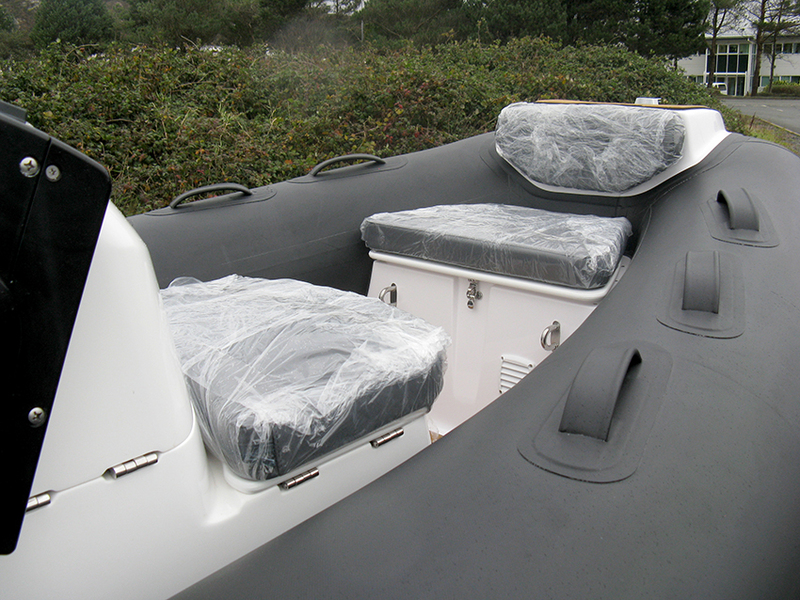 The GRAND Golden Line G380 RIB is an excellent quality RIB which has a unique water spray protection system which is designed to provide a dry ride with no water entering in from the stern. 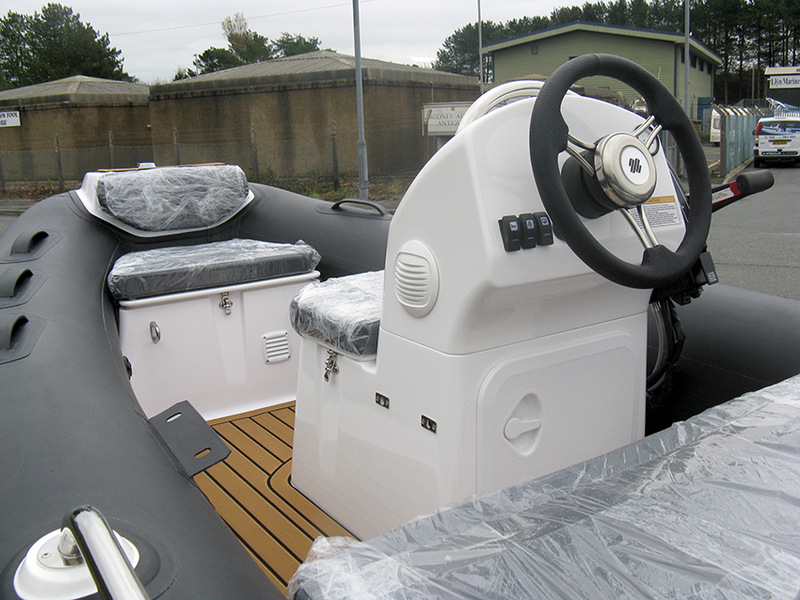 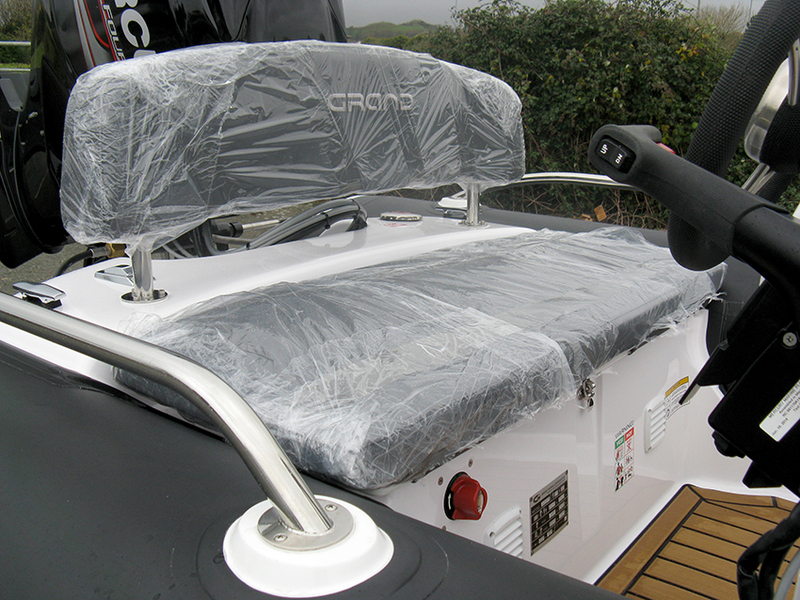 The GRAND Golden Line G380 is fitted with fibreglass step ends for ease of getting in from the water. 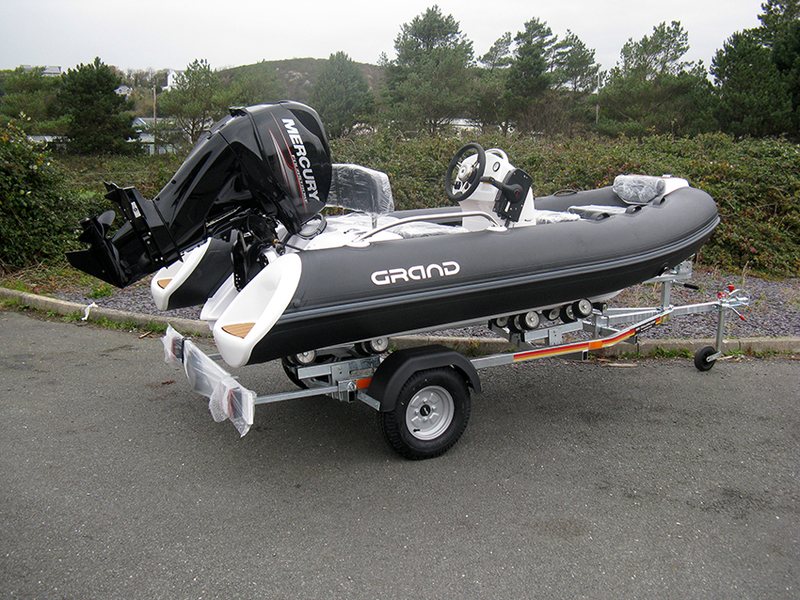 The most unique feature of this GRAND model is the unbeatably low weight which is perfect for low capacity lifting systems. 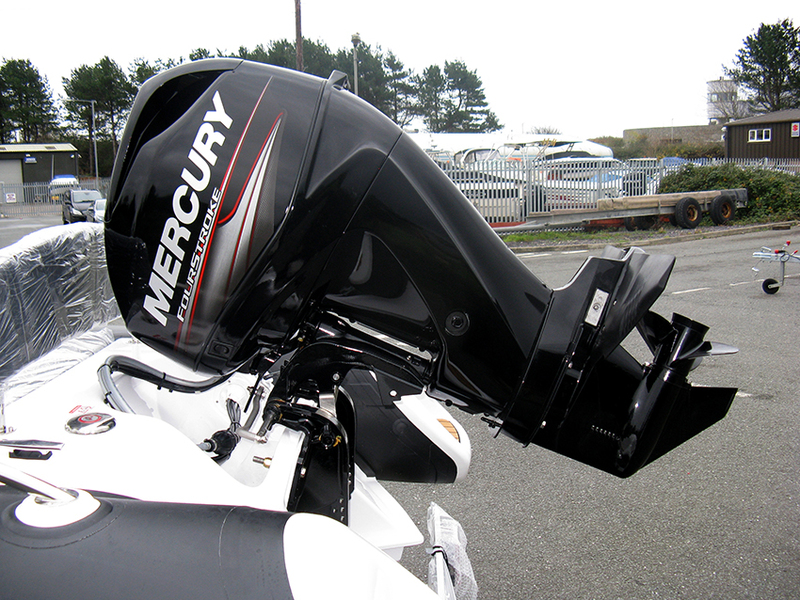 Dimensions do not include engine dimensions. 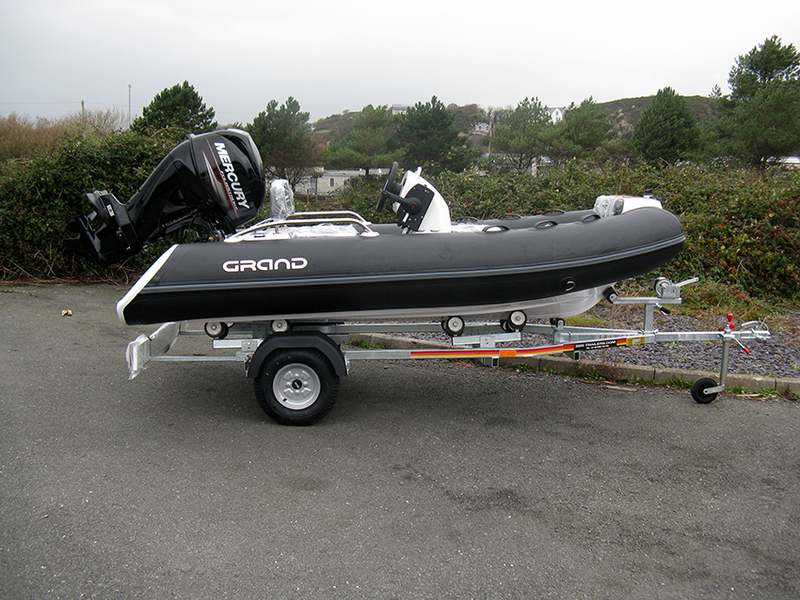 The GRAND Golden Line G380 is a superb small RIB which provides excellent handling and a dry ride.